Over the years, the SERP (Search Engine Result Page) has changed tremendously. Now, marketers no longer have to worry about just ranking for 10 blue hyperlinks, but so many more types of listings. So, what kind of new SERP listings are changing the SEO landscape? There are local three-packs, knowledge panels, videos, related questions and quick answers — just to name a few. A commonality between all these listings? They currently litter the top of the SERP and oftentimes, they’re the first organic results that searchers will see. Featured snippets are like the teacher’s pet of organic search listings. Front and center, hand raised eagerly and begging for attention. These results pull information from a page and provide a sneak peek of what you will find. A common concern from the SEO community during the introduction of featured snippets was that providing too much information up front would decrease CTR and hurt organic performance. However, research has found that featured snippets actually tremendously improve CTR! Looking at the donut example, this makes sense. Would you stop midway through the steps while baking your donuts? No! You have to click through to read more and find out the rest. Sometimes, videos will populate the top of the SERP. This happens when Google thinks a video best answers a query. 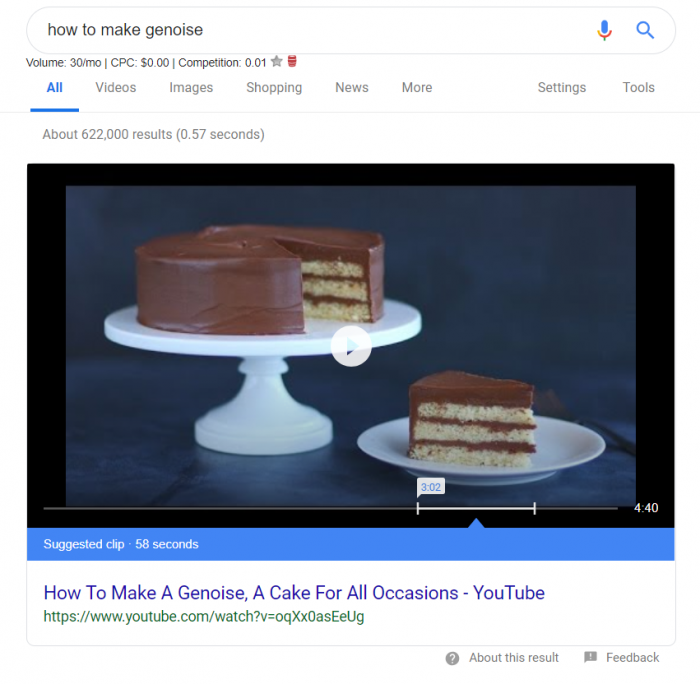 As seen in the above screenshot, Google further simplifies a user’s search by going as far as selecting the section of video that best answers the query. There could be a whole world of blog posts about vSEO (and there is! ), but let’s move on to another type of result. What have we learned from looking at the illustrations of different types of SERP listings above (other than the fact that I really like food)? Well, not only are these types of results appearing first, but they are also huge in terms of occupying SERP real estate. Look at how much space they take up — pushing all traditional organic search results way down on the SERP. Even brilliant SEO content strategies are vulnerable to SERPrises! Google updates continually throw wrenches into these plans. 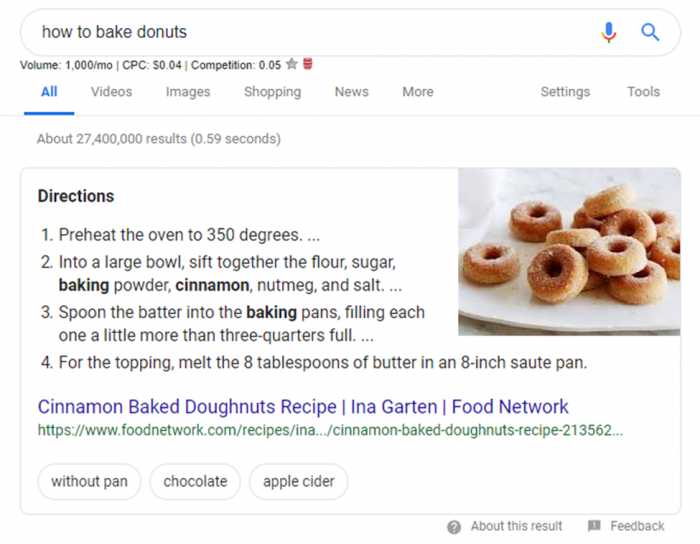 Featured snippets alone have grown tremendously in the past few years and it’s safe to say that with the introduction of all these new types of SERP results, they are not going anywhere. So, how do SEOs adapt to this new environment we must operate in? Should we throw in the towel and call it quits? Boohoo, woe is me. Mean old Google pushed down my results. All that laboring on super optimized and informative content — squandered. Featured snippets address question-based queries usually beginning with “how” or “why”. By optimizing content for these types of long-tail keywords we are already ranking highly for, while providing a clear and concise answer to these questions, we can greatly increase the chances of obtaining that lucrative top position. And even if we don’t get that spot, there is always hope for getting into “People Also Ask” (which also appears above traditional organic results, occupies a bunch of space and magically repopulates repeatedly. To rank for video, we need to ensure that video schema markup is in place (first and foremost) and that we are optimizing here as well. Local SEO and ranking for local results is a whole other subset of SEO in and of itself. 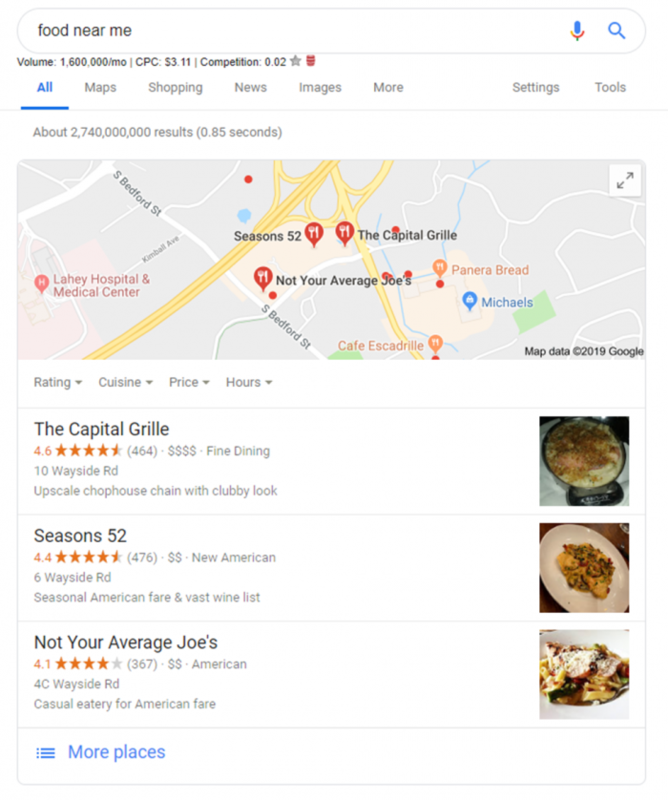 To appear for these searches, there’s a whole host of items to tackle including claiming and optimizing Google My Business listings, updating NAP citations, optimizing on-site location pages and metadata among many other tasks. Sounds like a lot of work, doesn’t it? 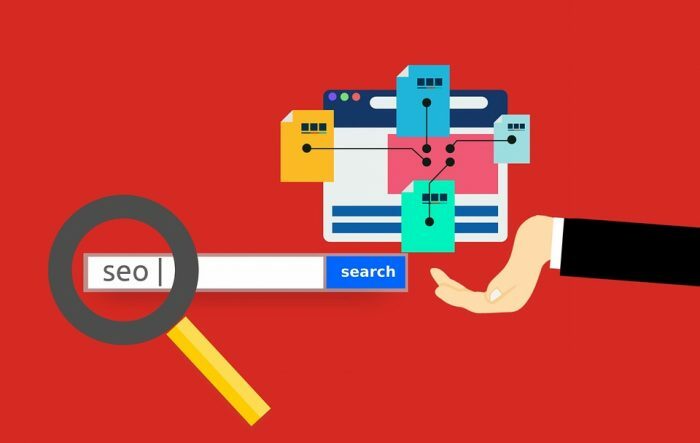 Still, implementing proper SEO techniques, either by yourself or with the help of an agency, will greatly improve your odds of getting that top SERP spot and boosting your overall organic performance. 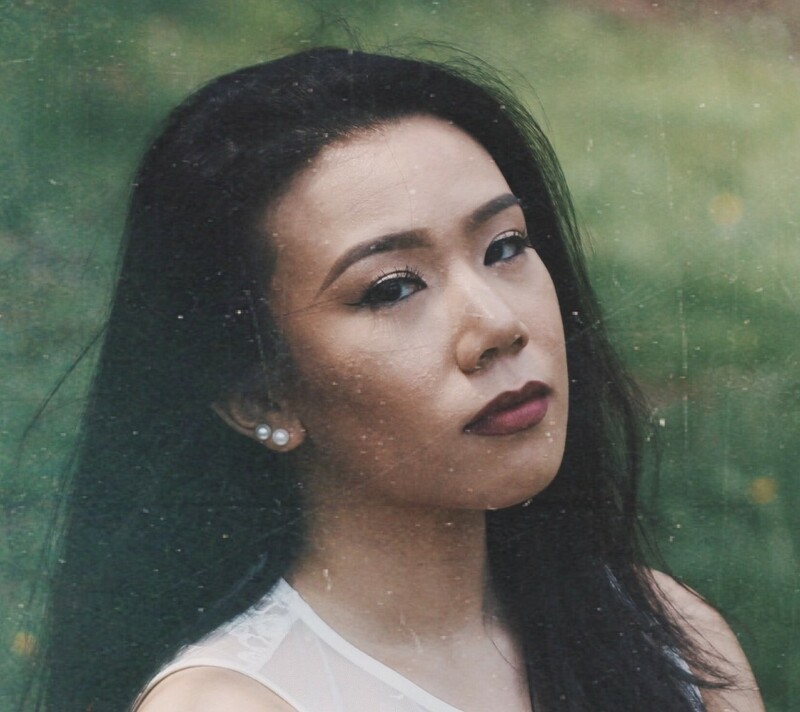 Tiger Lily Mangkhalakhili is a Peter Pan character, donut connoisseur and SEO investigator. She enjoys nature, bad puns and taking pictures of cool things.